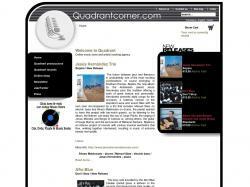 Quadrantcorner.com is an online music store and an artists booking agency. www.quickheads.com is a support site for the "Quickie" line of Burt Rutan designed homebuilt airplanes. From there you can buy plans and build one of these planes in your garage!